A tangy salad with the vibrant flavours and aromas of Mexico. Pre heat oven to 160oC. Coat tortilla wrappers in a little spray oil, then lightly dust with the cumin seeds and powder. Place on a lined oven tray and bake until crisp. 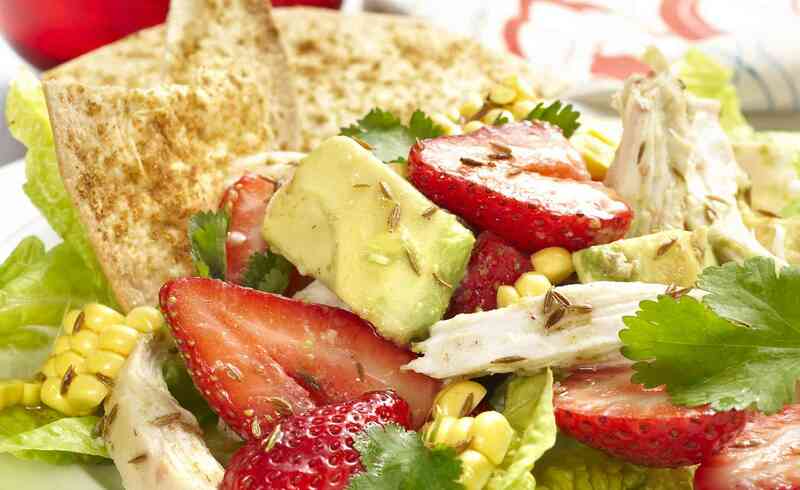 Combine the chicken, strawberries, lettuce, avocado and coriander in a large bowl. Mix together the remaining cumin, lime juice, oil and cracked pepper, then toss through the salad. Serve the salad in 4 individual bowls, with crisp tortilla strips and a dollop of sour cream.